Q. What is Michelin Challenge Design? A. Michelin Challenge Design is a collection of events and activities reflecting Michelin North America’s interest in and commitment to innovative design. Q. What are some examples of Michelin’s commitment to design? A. 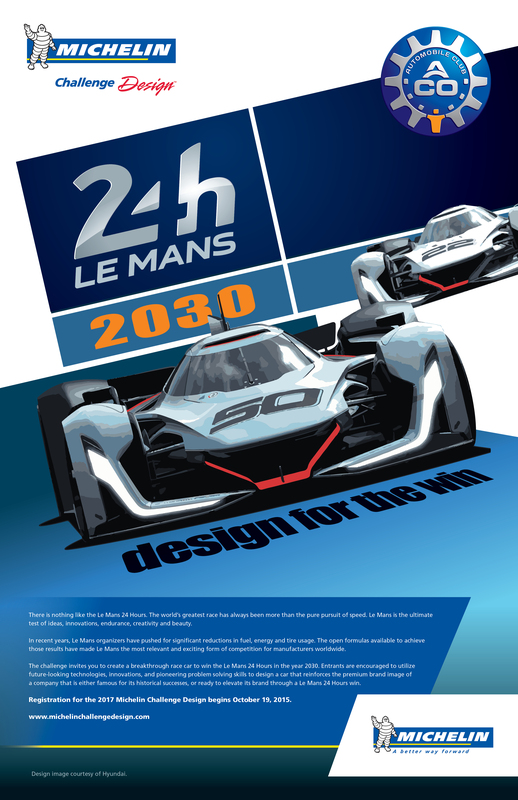 Here in North America, Michelin supports the College for Creative Studies Design Competition; Michelin Challenge Design and the cardesignnews.com website in addition to other events and programs. Q. Why is design important? A. Design is central to the process of innovation. Design influences the marketplace. Q. Why does Michelin care about design? A. Michelin wants to assist in the evolution of transportation. Michelin’s corporate culture places a high value on design and innovation as important to consumer satisfaction and maintaining Michelin’s role as the industry leader. Q. What was the theme for the 2017 Michelin Challenge Design? There is nothing like the Le Mans 24 Hours. The world’s greatest race has always been more than the pure pursuit of speed. Le Mans is the ultimate test of ideas, innovations, endurance, creativity and beauty. Q. How do I enter the Michelin Challenge Design? A. Information is available on the Michelin Challenge Design web site at www.michelinchallengedesign.com. Q. Who decides what is displayed at the Michelin Challenge Design-NAIAS? A. A panel of international design professionals and teachers. Q. Does Michelin ever get involved directly in vehicle design projects? A. Michelin supplies concept tires for many of the OEM concept and show vehicles introduced each year. Michelin periodically partners with design studios in the creation of specific concept vehicles. Q. Will Michelin provide financial support to entrants of the Michelin Challenge Design-NAIAS? A. Michelin does not provide financial support to entries in the Michelin Challenge Design. Q. Who can I contact if I have questions or need assistance? A. 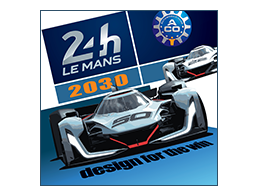 Contact information is available at www.michelinchallengedesign.com or contact us via email at design@emcpr.com.